Did the load development on my Tikka 300 WSM. Seem to be getting fliers on my 3rd shot of each group that group together. On the 3rd shot of each group I'd get those fliers that group in bottom right corner. Any ideas? This was a bloody hot day. Would I be right in thinking it was due to the gun heating up? I have checked screw torque settings on scope and rifle. Rifle was bedded and pillared. Last edited by McNotty; 26-09-2018 at 03:38 PM. double grouping in a Tikka is usually a sign of something wrong with the recoil lug and fit of the action. von tempsky fan and Monk like this. Textbook target from an incorrectly bedded rifle. 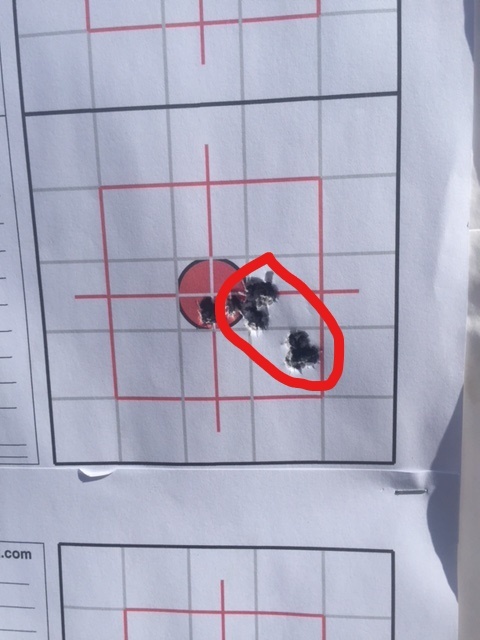 Recoil is shifting it between two rest points bence the two groups. Cheers Lads. The gunsmith that did it has a bloody good name around here. But I’ll give him a ring tomorrow. Does this normally mean starting again with the bedding? A shift in your firing position or support bags can cause the same thing. For example, if you get up, then resettle and carry on. Becomes more evident at longer ranges.